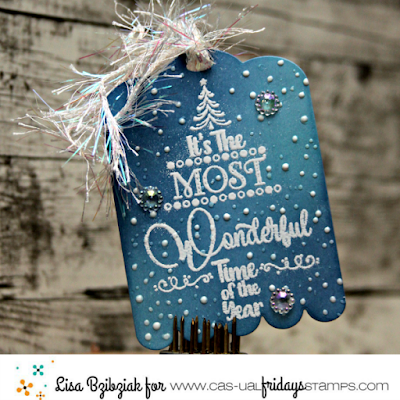 Life of a BZscrapper: 25 Days of Christmas Tags - CAS-ual Fridays! 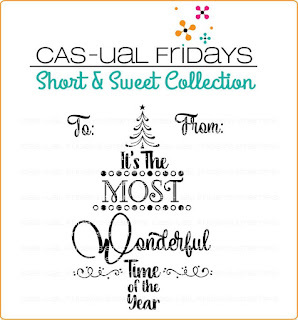 So excited to be participating in Tracey McNeely's 25 Days of Christmas Tags along with my CAS-ual Fridays teamies! CAS-ual Fridays is one of the many sponsors for this awesome event. There are lots of ways to be eligible for some fantastic random drawn prizes which include commenting and playing along! Check out Tracey's main post here to find out all of the ways you could have a chance to win! AND be sure to read to the bottom of the post for a special sale and another chance to win! Today I've used the Scallop Tag Fri-Dies along with this month's newly released Naughty-isms Stamp Set and Naughty Fri-Dies. I created a Santa Suit for my tag by cutting two of the largest tags in the set.. one in red and one in white. I used the red as my base and started with a thin strip of white glitter tape down the middle. Next I cut the top and bottom off of the white tag and attached the pieces to the red tag and covered the ends of the glitter strip. Then I cut a strip of black cardstock the width of the tag and added it for a belt and a simple square die cut from gold foiled paper for a belt buckle. I added some acrylic dots as buttons. When I had the backdrop all done, I cut the Naughty or Nice sentiment once from black glitter paper and twice from black cardstock so I could stack them together. Then I stamped the remaining part of the sentiment from the stamp set onto black cardstock with Versamark and heat embossed it in white. I fussy cut it out so it would only take up a little space and moved it around on the tag until I settled on where it would go. I popped it up and then I came across those sweet little Santa hat embellishments in my stash which fit perfectly on the loopty loop for the Nice part of the die cut! Fun right?? AND! 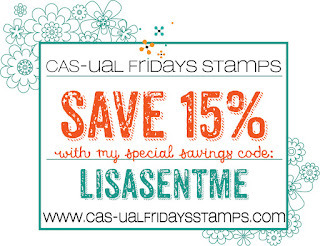 Michele has a special stamp set for you! It's called Most Wonderful.. and it is! Take a look at this beauty! So pretty right?? And I created a quick tag using this special set because I couldn't help myself! 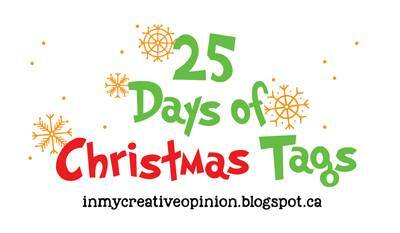 So I'm playing along with 25 Days of Christmas Tags too! I was inspired for this one by Jane Taylor's beautiful tag from Day 8 here! I knew this beautiful tag design would be perfect with this set! That gorgeous blue evening sky background and the pretty snow mounds at the bottom! I didn't have room for the snow mounds that Jane made, but I had already found a cool way to create them... so I made a second tag... but you'll have to wait until Thursday to see that one...lol! So here are the details regarding this stamp set! It will be available for purchase for $6.50 or you can get it free with a qualifying order of $50 placed November 20-26th! Your order must total at least $50 after discounts and shipping. No code is needed-it will automatically be added to your order when it ships! On the 27th, the set will be offered in the shop for $7.99! You can find this set here! To top it all off... all Christmas and Hanukkah sets are on sale now and you can find some great deals on retiring products too! Should you decide to shop, here is this for you! Michele has been so generous to let us have a giveaway here and all of your stops along the way! The CAS-ual Fridays Design Team are all giving away one of these special sets so be sure to stop at all of my teamies places to to find out how they are giving you a chance to win! Here, all you have to do is be a follower and leave me some love here and be sure I can get in touch with you in case you are the winner! You have until Sunday night to comment to win and I'll announce the winner Tuesday! It is Most Wonderful isn't it? EDITED TO ADD: The winner is Verna Angerhofer!! Thanks so much to all who left me some love! I do so appreciate it!! 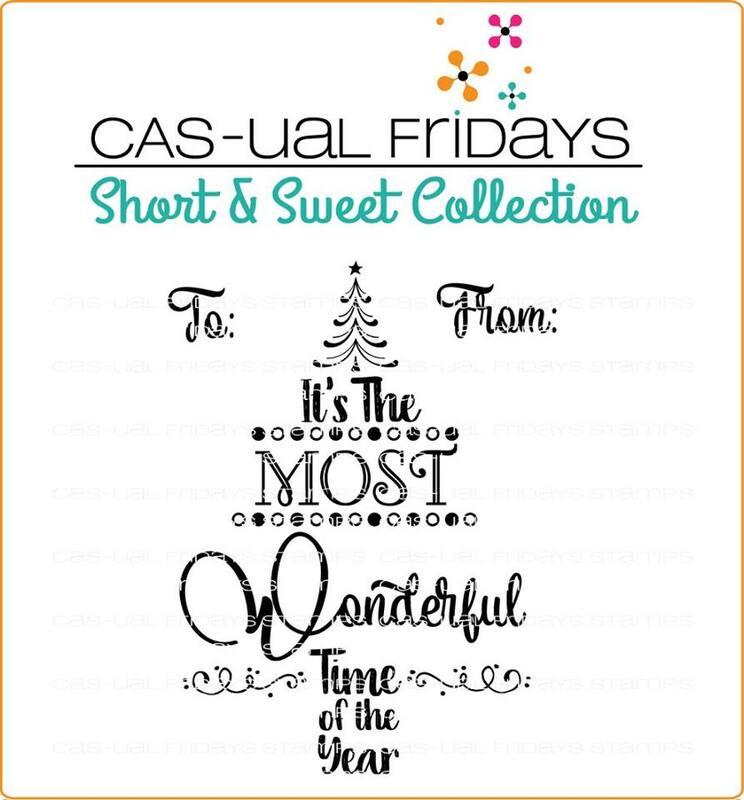 Be sure to stop over at the CAS-ual Fridays Blog post and leave some love there for a chance to win a $20 gift code! And comment on all of the 25 Days of Christmas Tags Design Team posts and even play long for chances to win sponsor prizes from this fun challenge and celebration! So many chances to win!! Good luck! So thanks for stopping by! Hope to see you again soon! Ohhhhhhh these are gorgeous!! LOVING the little Santa hat!!!!!!!!!! You ROCK Lisa! I LOVE the naughty or nice one! ANd the colors of the winter one! These are such fabulous and fun tags. Really beautiful in design. Both tags are beautiful! 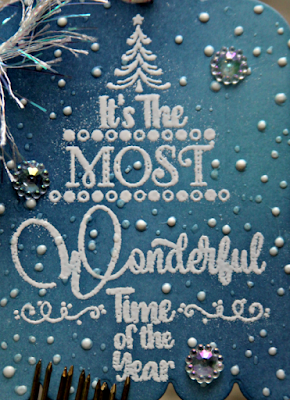 I love the blue inking on the second tag, and that bold black Naughty or Nice on the first tag is fabulous! Love your design for the Naughty or Nice Tag - may just have to CASE that if I have the time!! Awesome tags, Lisa. I love them both...the first is so fun. Thanks for sharing, and have a blessed Thanksgiving. Fabulous tags...just love your second tag, that background is stunning. Thank you so much for joining Tracey's 25 Days of Christmas Tags! Your tags are AWWWE-SOOOME!! Totally love them both! Have a Fabulous Thanksgiving!! Your Santa suit tag is so creative! I love how you placed the hat on one of the words, and the secondary sentiment is so funny! That second tag is beautiful! The background is lovely and the stamp embossed so clearly. Thanks for sharing. Awww!!! 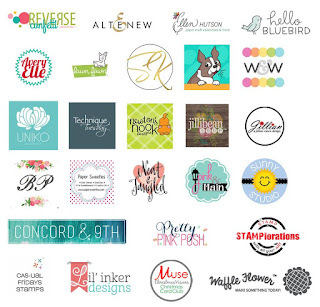 Adorable tag ideas!!! The Naughty or Nice is really fun and the colouring of your second one is really amazing!!! Love them! I forgot to say that I follow your blog through Google Followers. Lisa, your Santa suit tag is GENIUS! How clever. Your second tag is not just fun it is gorgeous, beautifully DONE! Thanks for the chance to win this great set. Fantastic tags! The first is so playful and adorable. The second has such a gorgeous background and is so elegant. Thanks so much and I was so excited to see I won. That is an awesome stamp set. You have a great weekend too.